An early Wednesday morning blaze consumed a Monmouth Beach house but authorities say there were no serious injuries. 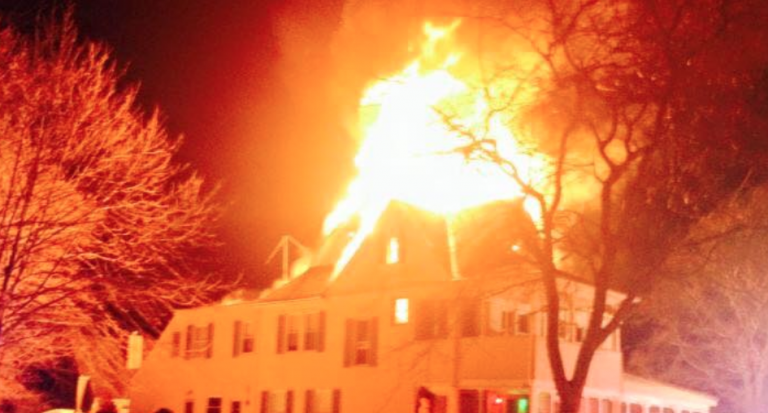 The Monmouth Beach Fire Company and Sea Bright Fire Rescue responded to 13 River Avenue just before 1:00 a.m. and found heavy fire through the roof of a three-story, wood frame single-family house, according to a release from the Monmouth Beach Fire Company. The first arriving crews, along with Monmouth Beach Police Department officers, immediately rescued a resident on the third floor, the release said. Two responding officers were evaluated and treated at the scene for minor smoke inhalation, according to a release the Monmouth Beach Police Department. The two-alarm fire, which kept firefighters on the scene until 5:00 a.m., drew fire crews from Monmouth Beach, Sea Bright, Long Branch, Neptune, Little Silver, Oceanport, West Long Branch, Deal, and Asbury Park and first aid crews from Monmouth Beach, West Long Branch, Neptune (medical ambulance bus), and the Long Branch First Aid Squad.